Gustavas Adolphus Wasa - Christina's father, King of Sweden from 1611 - 1632, during the Thirty Years War. Known for his decisive action, military finesse and intellectual curiosity and passion. Although initially possessing religious tolerance, he became a bitter enemy of Catholicism. Lacking a son, he was determined that his daughter would be raised as a prince. However, because he was away at war until his death, he rarely saw her. 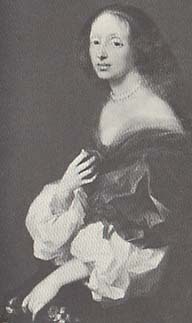 Maria Eleonora Hohenzollern - the German wife of King Gustavas, whom he married for political reasons. Superficial and pleasure-oriented, with a hysterical, morbid temperament. Never recovered from her husband's death. Rejected her daughter at birth because Christina was not a son, and was ugly. 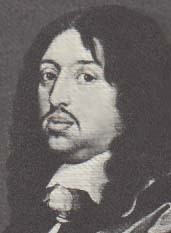 Charles Gustavus Palatine - cousin to Christina, four years older than her, and son of Catherine Wasa and Christina's beloved uncle, John Casimir. A friend in childhood, and object of her adolescent love. He wished to marry her but she refused. Nevertheless they stayed friends and she supported him as king. Charles was prone to excessive drinking and eating, but was an honorable and respected king during his short reign from 1654-1660. Although always timid with Christina, he was a decisive and firm ruler. Charles died at 38, in 1660. Axel Oxenstierna - the trusted chancellor of King Gustavas and mentor of Christina before she fully took on her duties as Queen. A competent administrator, who ruled Sweden, Finland, the Baltic countries and a much of Germany until Christina came of age. Once Christina began ruling, her conflicts with Oxenstierna increased, mostly because of her pro-French attitude and dedication to ending the Thirty Years War, which meant accepting compromises that would result in peace. Later, however, she wrote, "I loved this great man as a second father. Although I knew almost all the greatest and most brilliant personalities of this time, I met few who would and could stand in comparison to him." Magnus de la Gardie - the handsome, charming, cosmopolitan son of the Grand Marshall of Sweden, favored by the Queen, and a result quickly promoted up the diplomatic ladder. Financially extravagant and self-indulgent, he was frequently rescued from his debts by Christina. She loved Magnus for several years, but he did not return her affections and married one of her only female friends, Maria Eurphryosyne. She sent both away to France for a year, but maintained both friendships. Later she turned against Magnus, reputedly because he lied to her, but possibly due to his continued exploitation of her good will toward him. Ebba Sparre (Belle) - a beautiful aristocratic girl, Christina's age, who lost her parents and became a court lady in waiting in1644. Belle was "modest, virtuous, witty, of great beauty, and excellent behavior." Christina was devoted to her, confided in her, and later wrote her many letters expressing her love and attachment ("but I am condemned to the fate of loving you always, esteeming you always and never seeing you"). Although some have speculated lesbianism, most scholars regard Christina's feelings toward Belle as typical of the platonic Renaissance "love precieux," which encouraged outpourings of affection and attachment. Belle lived with Christina even after her short-lived marriage to Jacob de la Gardie (who died in 1652), but they were separated permanently after Christina abdicated. Belle was believed to have lost interest in her friend once Christina was no longer queen. She died an early death, in 1662. 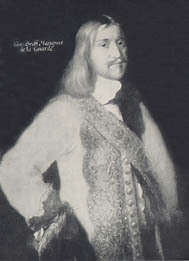 Pierre-Hector Chanut - French minister then ambassador to Sweden, who arrived at the court in 1645 and became a lifelong friend and supporter of Christina. Many of her letters to him still exist; she confided to him, "I let no one look inside me - except you and another friend." (At this time, before Pimentel's arrival, her only other confidant was Belle). Chanut was known to be diplomatic, politically astute and intellectual. His verbal portrait of Christina is frequently quoted. Descartes - French philosopher admired by Christine because he was able to reconcile reason and faith and to embrace Catholicism. Impressed with his Principes de la Philosophie, she started corresponding with him in 1647 and invited him several years later to Sweden to tutor her. However, during his visit, she waited several months to see him, then insisted on mid-winter lessons at 5am. Descartes soon contracted pneumonia and died. Don Antonio Pimentel de Prado - a general, and the Spanish envoy to Sweden beginning in 1652, an aristocratic, military-oriented, honorable man of action, who became her confidante and recipient of her affections for many years. (Some believed they were lovers, but scholars today think that Christina maintained her virginity throughout life). Christina sought his friendship initially because she wanted the King of Spain's support before she abdicated and converted to Catholicism, and Pimentel was a helpful go-between. He also supported her conversion and helped her to gain access to priests for several years beforehand. Pope Alexander VII - previously Cardinal Chigi, elected pope in 1655, and died 1667. Pope Alexander was initially favorably disposed to Christina, especially because of her public conversion to Catholicism, and gave here luxurious suites in Vatican City. But after she killed Monaldeschi and attempted to take over Naples, he turned against her and insisted that she find accommodations elsewhere. Although he remained critical of her, they were reunited before his death. Cardinal Dezio Azzolino - Christina's most devoted friend during her post-abdication years. A young cardinal under Pope Alexander VII, and leader of the "Flying Squadron" group, the politically savvy intellectual elite of the Vatican. Azzolino was known for his intelligence, sophistication, charm, appeal to women, political finesse, literary talents, and administrative capabilities. Azzolino's close relationship with Christina caused a scandal, forcing him to explain to the Pope upon several occasions that it was completely innocent; Indeed, Christina often referred to them "not being able to be lovers because of his piety." She was nonetheless, obsessively in love with him, and wrote him numerous letters proclaming her undying affection and begging for his. He did not ardently reciprocate her affections (and did cool somewhat emotionally over time, in response to her often clinging attachment), but remained a loyal friend who helped her through her worst times. Azzolino was present at her death, and died six weeks later. Image: Sculpture of Azzolino by Bernini. 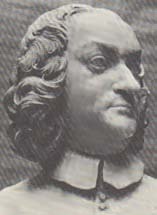 Father Miguel Molinos - Spanish priest, and founder of Quietism, a contemplative spiritual approach to life, advocated in his highly successful Spiritual Guide published in 1675. He led numerous spiritual conferences and conducted weekly theology sessions with Christina for several years. As the focus upon the inner mystical life became threatening to the sacraments of the search, he was arrested by the Inquisition in 1685, and condemned in 1687 under Pope Innocent XI. His philosophy and work inspired Christina's later years, although she became disenchanted with him personally as he revealed his sexual aberrations to the Inquisition. Christina's devotion to God was her primary preoccupation during the last decade of her life.